Progressive muscle relaxation (PMR) is an anxiety-reduction technique first introduced by American physician Edmund Jacobson in the 1930s. The technique involves alternating tension and relaxation in all of the body's major muscle groups. If you suffer with social anxiety disorder (SAD), your muscles are probably tense most of the time. By practicing PMR, you will learn how a relaxed muscle feels different from a tense muscle. Progressive muscle relaxation is generally used along with behavioral therapy techniques such as systematic desensitization. However, practicing the technique alone will give you a greater sense of control over your body's anxiety response. If you practice this technique correctly, you may even end up falling asleep. If so, congratulate yourself on obtaining such a deep level of relaxation, and for the work that you did up until that point. For those who suffer with medical conditions, be sure to consult with your doctor prior to beginning any type of relaxation training exercise. Find a quiet place free from distractions. Lie on the floor or recline in a chair, loosen any tight clothing and remove glasses or contacts. Rest your hands in your lap or on the arms of the chair. Forehead. Focus attention on your forehead. Squeeze the muscles in your forehead, holding for 15 seconds. Be careful only to tense the muscles of your forehead and to leave the rest of your body relaxed. Feel the muscles becoming tighter and tenser. Then, slowly release the tension in your forehead while counting for 30 seconds. Notice the difference in how your muscles feel and the sensation of relaxation. Continue to release the tension in your forehead until it feels completely relaxed. Continue breathing slowly and evenly. Jaw. Now, shift attention to your jaw. Tense the muscles in your jaw holding for 15 seconds. Then, release the tension slowly while counting for 30 seconds. Notice the feeling of relaxation and continue to breathe slowly and evenly. Neck and Shoulders. Now, shift attention to your neck and shoulders. Increase tension in your neck and shoulders by raising your shoulders up towards your ears and hold for 15 seconds. Slowly release the tension as you count for 30 seconds. Notice the tension melting away. Arms and Hands. Slowly draw both hands into fists. Pull your fists into your chest and hold for 15 seconds, squeezing as tight as you can. Then, slowly release while you count for 30 seconds. Notice the feeling of relaxation. Buttocks. Slowly increase tension in your buttocks over 15 seconds. Then, slowly release the tension over 30 seconds. Notice the tension melting away. Continue to breathe slowly and evenly. Legs. Slowly, increase the tension in your quadriceps and calves over 15 seconds. Squeeze the muscles as hard as you can. Then, gently release the tension over 30 seconds. Notice the tension melting away and the feeling of relaxation that is left. Feet. Slowly, increase the tension in your feet and toes. Tighten the muscles as much as you can. Then, slowly release the tension while you count for 30 seconds. Notice all the tension melting away. Continue breathing slowly and evenly. Enjoy the feeling of relaxation sweeping through your body. Continue to breathe slowly and evenly. In addition to following these instructions, you may consider using a voice recording such as the free MP3 audio file offered by McMaster University with directions on practicing progressive muscle relaxation. Use of an audio recording allows you to fully relax and concentrate on the technique. A systematic review conducted in 2008 and published in the journal BMC Psychiatry showed the efficacy of relaxation training, including PMR, in the treatment of anxiety. Therefore, if you are looking for evidence-based options to help treat your social anxiety, PMR may be a good choice. 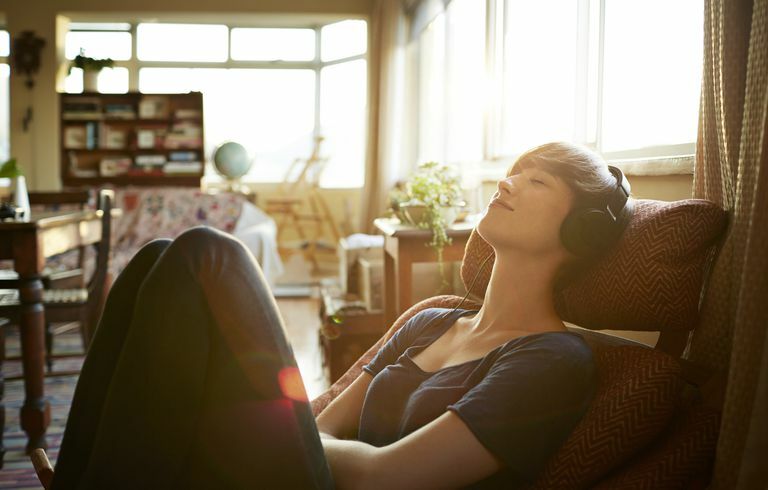 Relaxation techniques such as progressive muscle relaxation can be helpful for mild to moderate social anxiety, or when practiced alongside traditional treatment such as cognitive-behavioral therapy or medication. However, if you find yourself living with severe untreated social anxiety, it is important to consult with a doctor or other mental health professional to obtain suitable treatment. Manzoni GM, Pagnini F, Castelnuovo G, Molinari E. Relaxation Training for Anxiety: A Ten-Year Systematic Review with Meta-Analysis. BMC Psychiatry. 2008;8:41.